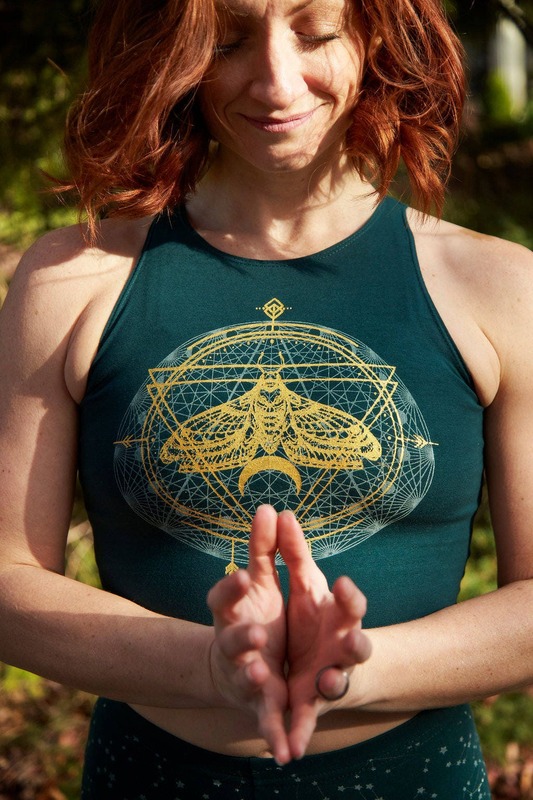 Δ Moth design hand-drawn and silk screened by Grizzy. 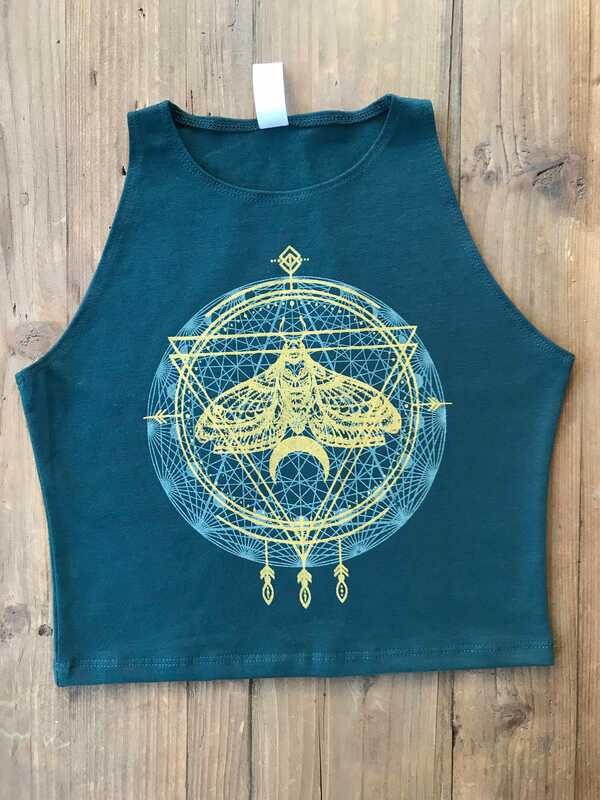 Δ Printed on a Cotton Spandex Sleeveless Crop Top. Green or Black with glow in the dark and gold print. I can also print this design with your choice of print color. If you choose this option in the drop down menu, please be sure to include a note in the 'notes' section of your order with specific print instructions.